PRODUCT DETAILS: Wilbur Curtis Paper Filters 12.50 X 4.00, 500/Case - Commercial-Grade Paper Filters for Coffee Brewing - GEM-6 (Pack of 500). Brew Basket Compatibility: WC-3417, WC-3357 Paper coffee filters were made from high-grade paper to provide an even flow of coffee through the filter and preserve taste. Designed to be used with commercial coffee brewers. 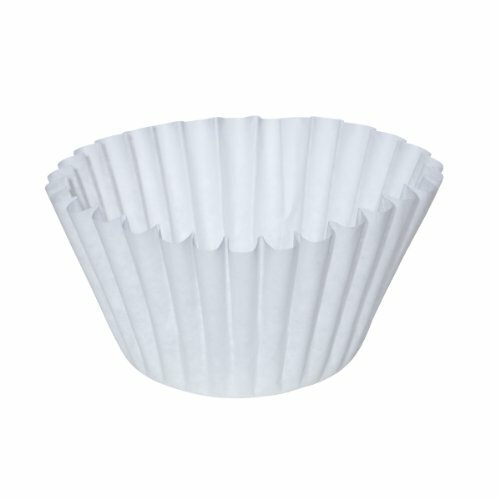 Paper coffee filters (for commercial use) prevent coffee grounds from overflowing while brewing. Paper filter meets commercial brewer needs and preserves coffee flavor. These paper filters are perfect for commercial coffee brewers. Brew Basket Compatibility: WC-3417, WC-3357, WC-3358 Paper coffee filters were made from high-grade paper to provide an even flow of coffee through the filter and preserve taste.